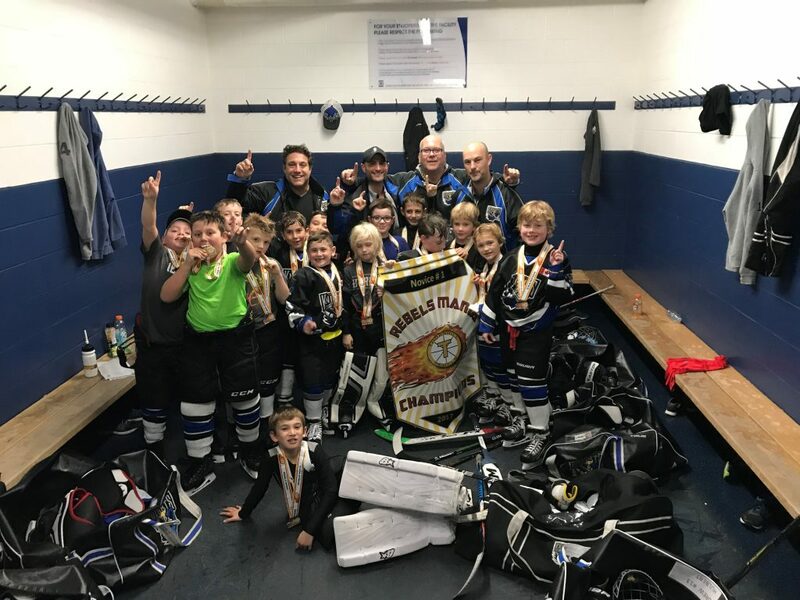 The North York Knights Novice Select (Black) entered the Thornhill Rebels Mania Early Bird tournament held between October 6th and 8th in the #1 Division. The road to the championship began on Friday morning when the Knights faced the Forest Hill team, a team in the Tier 2 Division of the North York Hockey League. The coaches reinforced the importance of passing and playing aggressively and the Knights came out ready to play but but unfortunately lost to strong competitor by a score of 4-2 . Later in the day, perhaps with a growing sense of confidence, the Knights faced a Tier 3 Division team, the host Thornhill Rebels White. In a lopsided game, the Knights emerged victorious by a resounding score of 16 – 0 showing exemplary team play across all forward lines in a dominating display of skill. Next up on Saturday were the Thornhill Rebels Blue team, also a NYHL Division 2 team. The Knights were well rested and came out flying, playing a very determined game and capitalizing on nearly all their chances to come through with another overwhelming display of force winning the game 15 – 1. Finally after these two lopsided wins, a true test came through with the Thorhill Rebels Red, a Tier 1 team in the NYHL. With solid defense, superb goaltending and aggressive forechecking, the Knights came rose to the occasion in this tightly fought game and emerged victorious 3 -2. So onto to the semi-final game against Lorne Park from the Mississauga Hockey League. Once again, listening carefully to Coach Iain Green’s instructions, the players skated very hard in all three zones, the goaltending was stellar and the scoring balanced amongst all the forwards: and the Knights were headed to the finals after a convincing 7 -2 win. The Championship game on Sunday was against the first team they had played in the tournament: Forest Hill. Perhaps it was Coach Green’s pre-game speech that emphasized teamwork and aggressive forechecking that inspired the players, but the team played with passion and determination and finally edged Forest Hill 5-4 in double overtime to capture the #1 Division championship! 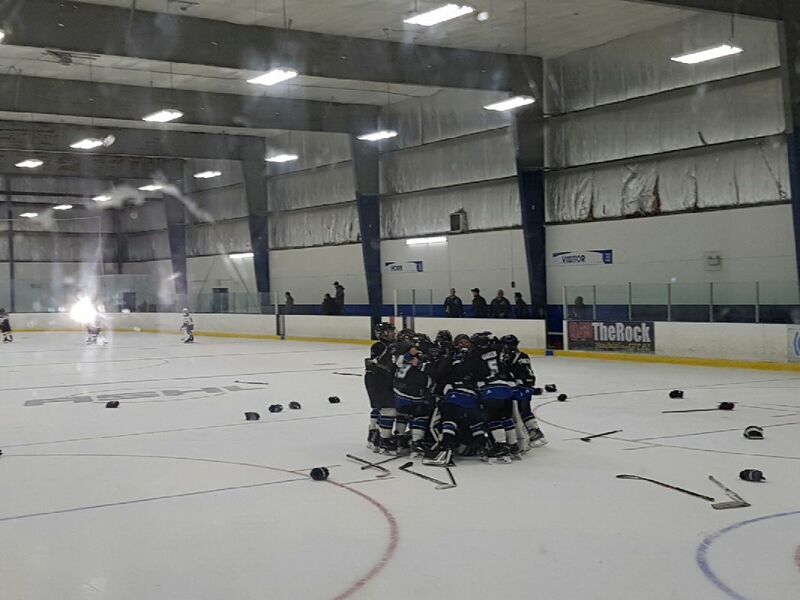 The Knights finished the tournament with a perfect 6-0 record and celebrated in style at centre ice with much-deserved medals. Go Knights!